Gail Anthony, Licensed Conveyancer at Buss Murton Law and specialist in Help to Buy property purchases, reviews current Government schemes. It is a well-known fact that getting on the property ladder or on the next rung these days is much more daunting than it has been in the past. Predominantly, the consistent demand for housing has pushed the price of property up to the point that many first time buyers or property owners looking to move are financially unable to commit. The Government has introduced several schemes which can provide the assistance required to take the first or next step on the property ladder. Help to Buy London was launched in February 2016 for buyers wanting to purchase a property in London. The difference with this scheme is that the loan is worth up to 40% of the value of the property. The Help to Buy ISA was launched on 1 December 2015 and is designed to increase the savings for a first time buyer towards the purchase of a property. For every £200 saved the Government will add £50, up to a maximum of £3,000. There are limitations on the use of the Government bonus which includes at least £1,600 of savings to receive the minimum bonus of £400. The funds can be used for properties up to £450,000 in London and £250,000 for the rest of the UK. The bonus will be utilised towards the purchase on completion and not towards the deposit on exchange or any other indirect costs associated with purchasing a property. When the funds are required, you will need to close the ISA and obtain a Closing Account Statement which should be passed to your solicitors who will make an online request for the bonus funds to be paid directly to them. It is important to remember that the bonus must be claimed within 12 months of closing the ISA and can only be drawn down by your solicitor between exchange and completion. One of the most utilised schemes available is Shared Ownership. This scheme allows a buyer to purchase a share of a property from a local Housing Association. The share purchased can be between 25% and 75% of the property price at the market value at that time. The buyer will then pay an affordable rent on the remaining share which the Housing Association retains. You will need to take out a mortgage to pay for your share of the property’s purchase price or fund this through savings. It is also important to bear in mind that Shared Ownership properties are always leasehold, even on houses, until the full share has been purchased. To qualify for the Shared Ownership scheme your household income must not exceed £80,000 – or £90,000 if you are purchasing in London. The scheme is available to all qualifying applicants and not just first-time buyers on both new-build and resale properties. Once you have purchased a share in the property, you have the opportunity to purchase additional shares which is known as ‘staircasing’ and if you purchase the full 100% share this is known as ‘final staircasing’. To enable further shares to be purchased a valuation will need to be carried out to establish the current market value which the Housing Association will need to approve. A further Government scheme is Right to Buy. This enables council tenants who have a consecutive tenancy of at least three years (which was reduced from five years in May 2015) to potentially purchase their home at a discounted rate. You must be able to confirm matters such as for instance, that the property is your only or main residence, that you are a council tenant and have been for the last three years, that you do not have any legal problems with debt or any possession orders against you and that the property is not due to be demolished. It is essential to have a lawyer such as Gail Anthony at Buss Murton that specialises in these transactions. Gail says: ‘There are various ways in which purchasers can get on the property ladder, or indeed make their next move. With the housing market ever buoyant, 2017 may just be the year to think about the next step forward’. 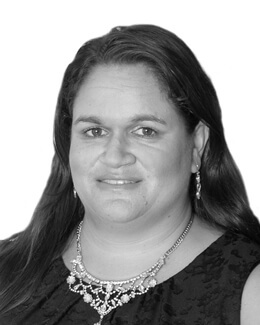 Gail is a Licensed Conveyancer in the Residential Property Department. She acts for clients in all areas of residential conveyancing and specialises in dealing with purchases through the Government Help to Buy Schemes for clients. Other areas which Gail has experience in are equity release schemes, transfers of equity, lease extensions and remortgage transactions. Gail joined Buss Murton in July 2014 having previously worked at another Kent firm for 12 years where she worked her way from a Secretary to a Conveyancing Assistant. In January 2012, she began studying to become a Licensed Conveyancer and qualified in September 2015.